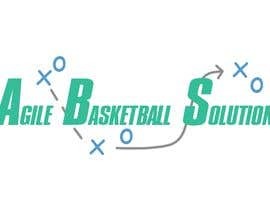 I need a logo for a new business called Agile Basketball Solutions. Basically looking for the name and maybe a basketball and a symbol for growth (like an arrow in a growth chart looks). Or maybe 3 large letters (ABS) stacked on top of each other, and spelling out the words Agile Basketball Solutions written small.